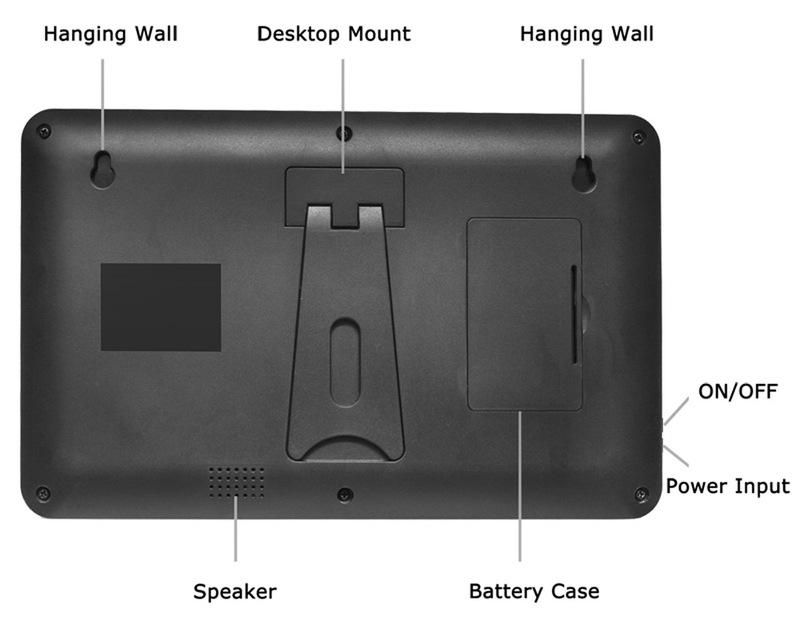 ● 2.4GHz launch frequency, approx 300m barrier free remote control distance. 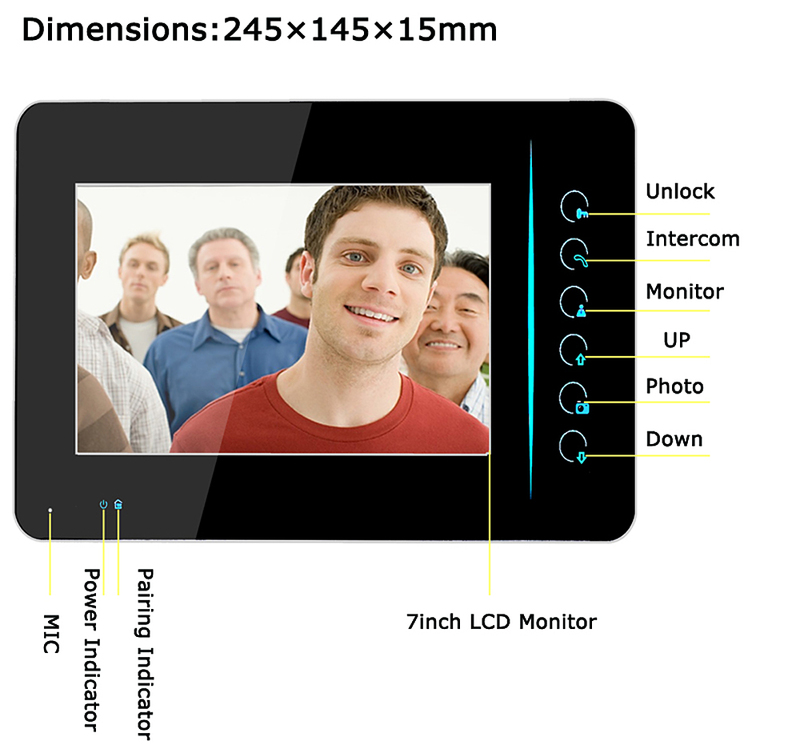 ● 7 inch TFT color display. 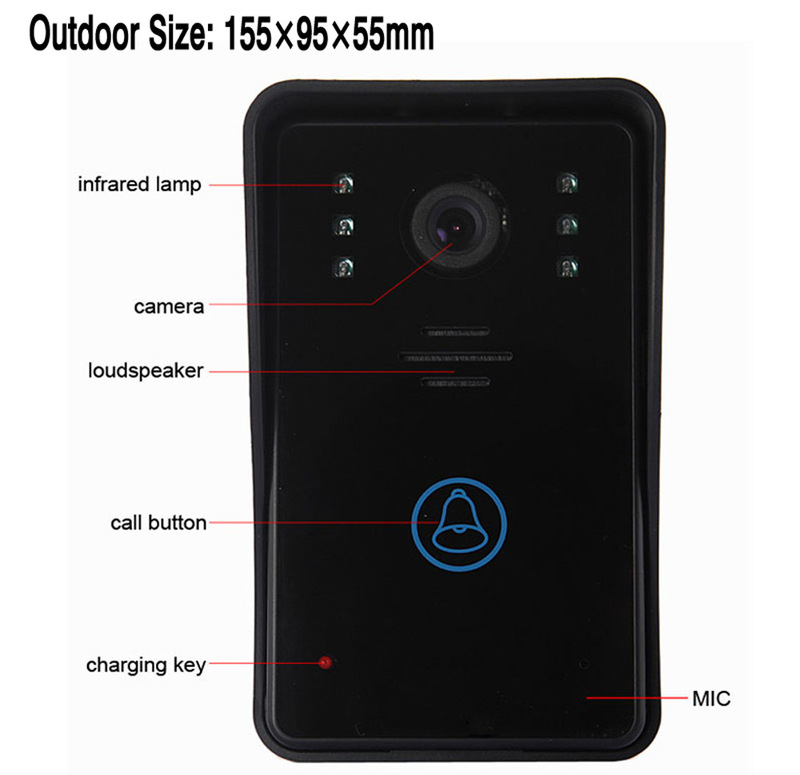 ● 0.3 mega pixel camera. 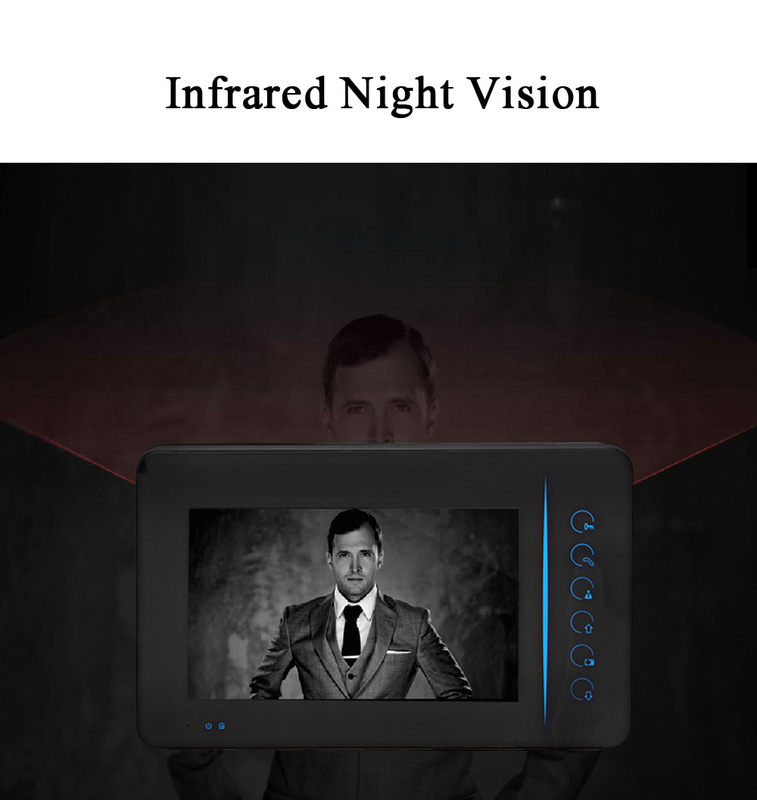 ● Clear night vision can capture image in low-illumination environment. 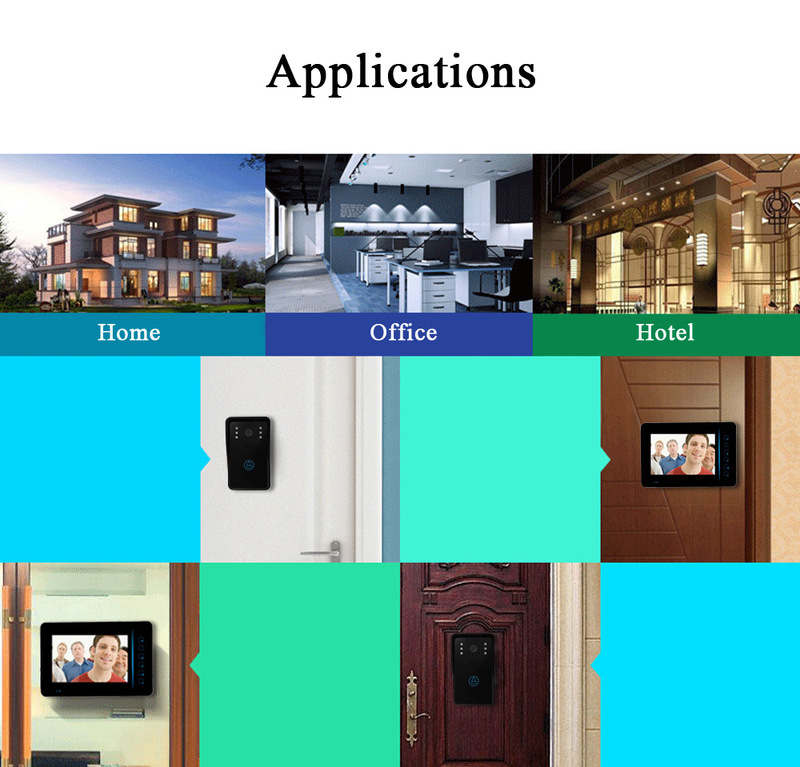 ● Surveillance, wireless unlock, hands-free call and talk. ● 12 chords for your options. 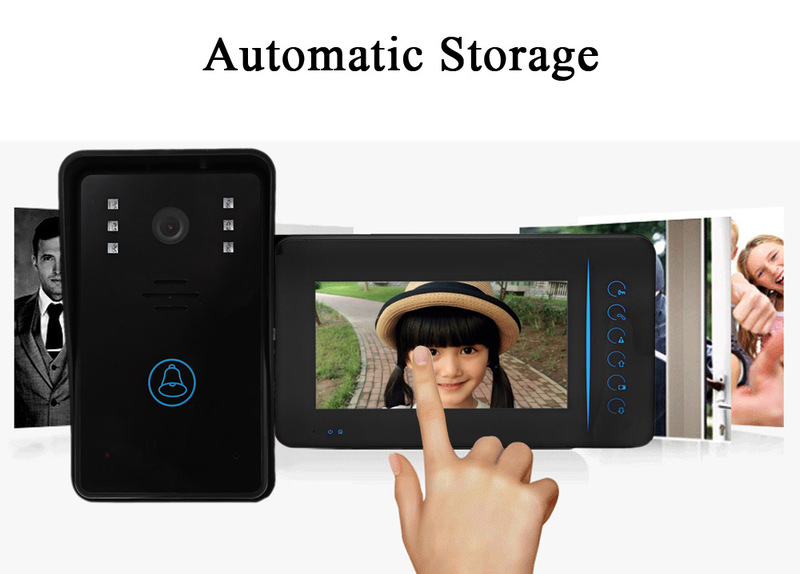 ● Indoor monitor can take and store 130 pictures automatically. 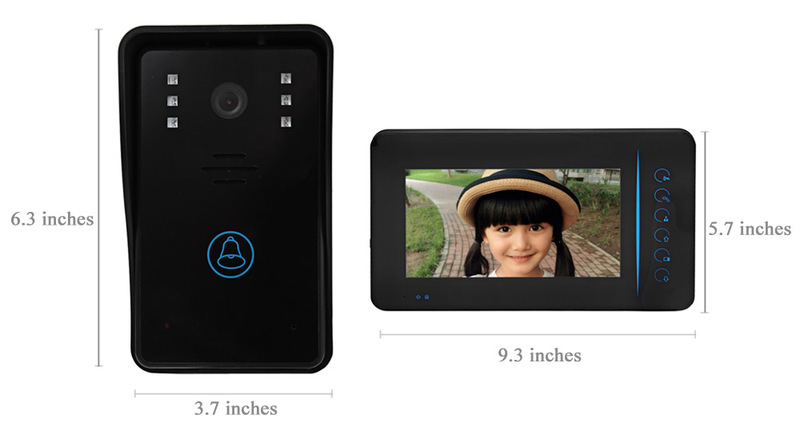 ● The outdoor camera can be powered by adapter or lithium battery.